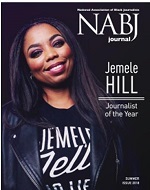 The National Association of Black Journalists (NABJ) recently held its Inaugural Media Institute on Education at Central Piedmont Community College in Charlotte, NC. The one-day conference covered important topics in educational policy, including advancing educational equity and ensuring educational opportunities for poor and minority students, accessing higher education, closing gaps in educational quality, and how supporting communities directly impacts the quality of education our children receive. The institute gathered journalists, educators and the community to talk about what more can be done to address the issues African American students face in the classrooms. Approximately 100 people attended the event. Speakers included, the Superintendent from Broward County, Robert Runcie. He talked about what his community is doing to address and end the school to prison pipeline. He says there is proof his efforts are working. Other guests included, representatives from the Department of Education who shared data that African American boys and girls are leading the way when it comes to suspensions. And most students of color are being taught by teachers with little to no experience inside the classrooms. There was a timely discussion about the Atlanta cheating scandal. Lawyers representing the teachers participated. They claim the focus was so much on the teachers, the judicial system failed to help the thousands of students who still struggle to read and write because of the cheating. Gerald Griggs told the audience he is still fighting for Justice for the Atlanta Public Schools. Attendees also heard the benefits from the Charlotte community raising more than $55 million to help students in some of the lowest performing schools, Money went to purchase students laptops, attract effective teachers, and offer dental and eyecare students cannot afford. Also the student accepted to all eight Ivy League schools, Harold Ekeh participated. He talked about how he succeeded in a traditional public school and he told the crowd his peer pressure is to do well in school. Information was also shared on the number of African American students who can take AP courses, but don’t because people who look like them are in that class. And they feel they can’t do well in those classes. “Attendees walked away knowing it will take a whole community to make a difference in our schools. 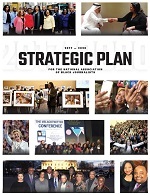 It has been proven no longer can school districts get the job done, it will take the community’s time, energy and money so students can succeed inside the classrooms.” Dedrick Russell NABJ VP Broadcast said. NABJ would like to thank its corporate partners, The Broad Center, Project Lift, The Knight Foundation, Education Trust, Charlotte Mecklenburg School District and the Central Piedmont Community College for helping make this event a success.